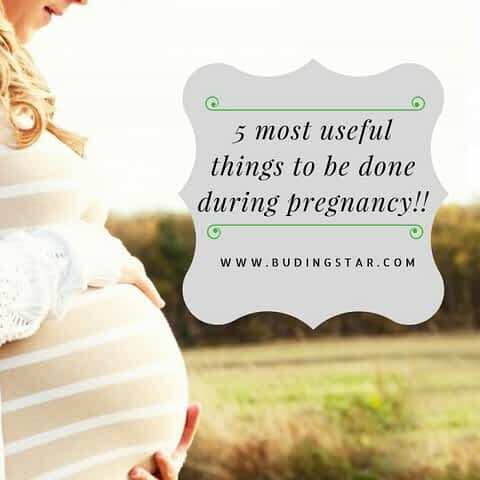 5 most useful things to be done during pregnancy!! Description: Pregnancy is one of the most beautiful period in women’s life and this difficult period should be carried with some caring of baby & mother with balanced diet, sleeping properly and doing meditation. Don’t each much at one time but eat many times in small quantity. Some pregnant women aren’t used to eating a lot of meat and dairy products and wonder if they’ll gain too much weight. However, if you’re eating a balanced diet, including the right amount of quality protein, you don’t need to worry about putting on weight. Pregnancy is, after all, a time to gain weight. Eating properly is one of the best ways to keep your growing baby healthy and to feel your best, too. One of the most common problem during pregnancy is sleeping, especially in the third trimester, is finding a comfortable position to sleep in. Try lying on your side with a pillow between your knees for lower-back support. You can also buy a body pillow, which can be moulded along the length of your body, offering support where you need it most. Some women find relief by sleeping in a slightly reclined position with lots of pillows behind and around them. Sleep Sleep & Sleep as When a kid arrives you will be sleep deprived. It gives you the most stress but one heart melting smile becomes the biggest stress buster too. It will help a lot in pregnancy fighting physical as well as mental stress. Breathing exercises helps to increase oxygen intake more which is good for the baby’s health. Meditation helps to ease away stress and relaxes a would be mother. In your third trimester, do squatting exercises and go for a walk regularly. You should be in movement all the journey long. In the end stay happy and smiling always…Remember your child is feeling every emotion that you feel…so make the child feel the best feelings before it enters the world so that you have a happy baby!